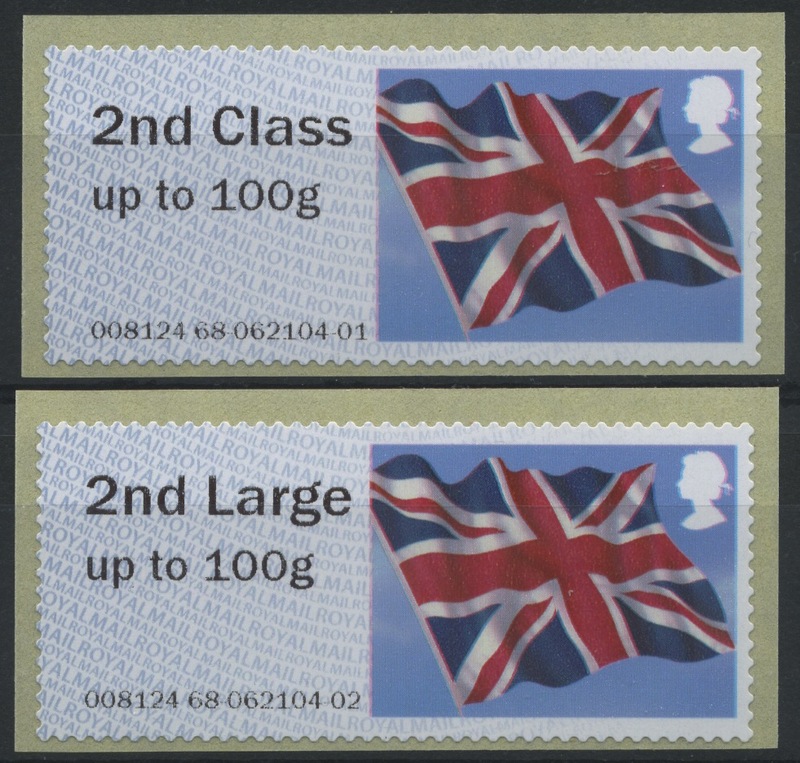 "All the picture stamps are put into the 2nd class slot" - Crown PO. Shortly before we went on holiday one of our readers related the story of his trip to a Crown Post Office in SE England. 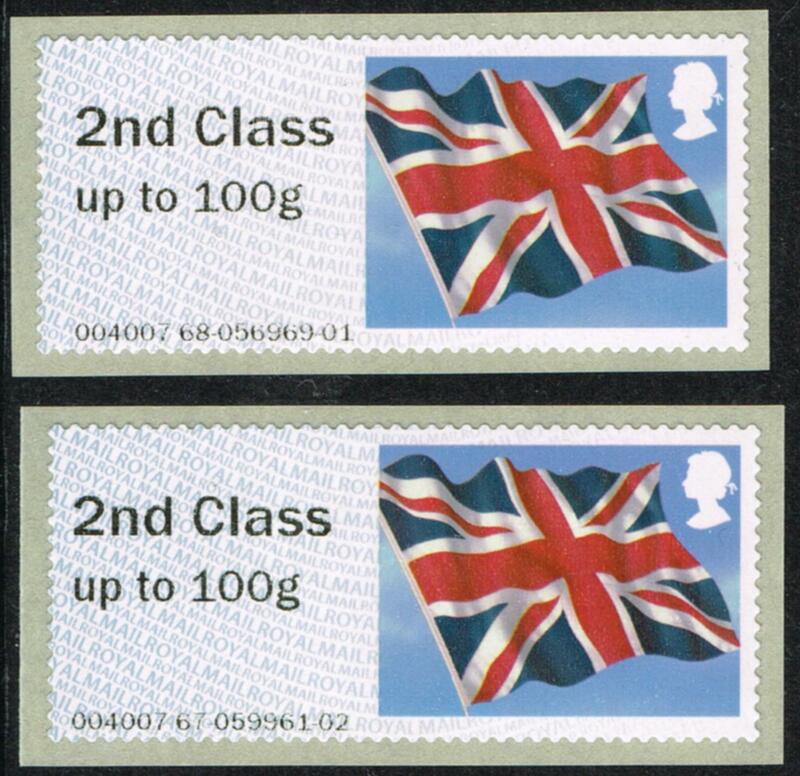 He found that they were dispensing Union Flag stamps from the 2nd class position on their SSK machines - but they thought that this was perfectly correct. Staff tell me that this is not wrong despite assurances from me that they have mixed up the rolls. In fact I was told by the (very unhelpful and belligerent lady) clerk that they “always put blue ones in the 2nd and brown ones in the first – the flags are blue”. Of course people in official positions don't like being told by customers that something is wrong in their system, but rude and obnoxious behaviour is no excuse when collectors - who nearly always know more about the stamps than Post Office staff do - try to avoid their possible embarrassment or censure. 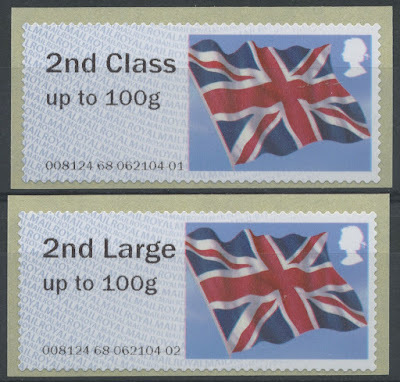 Again I was told that the stamps are not wrong as they tell me that when they get other picture stamps they are also put them in to the second class position!! (I said – “so you mean you put any stamps in the 2nd class position such as when you get, say, ‘flowers’ etc.” – their reply “Yes”). I did try to explain at length the reasoning and the function, but it just fell on deaf ears and they were not interested. In fact she told me that her husband was a postman and he knows everything about them…!!!! And clearly I was wrong. The moral of the story is, if you do have occasion to be near a Post Office with SSK machines, venture forth and spend 55p buying a single 2nd class stamp - maybe from each machine. You never know what you might find! And if you do find something previously unreported and are prepared to buy some for me, give me a call. [If this is at all likely and you would like my mobile number, please get in touch by email.] Any such purchase will always be made worth your while, and will spread your good fortune to a number of other collectors. 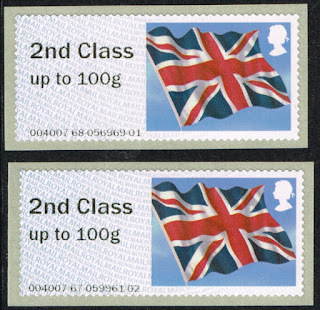 DP reports that Blackfriars Road also had and Union Flag in the 2nd class printer and Ladybirds in the 1st class printer, in September. Don't you just love it when a Post Office member of staff says to a customer that her husband is a postman and he knows everything about first and second class stamps in Post Office NCR machines. I wonder if there any postmen or postwomen who are also stamp collectors.